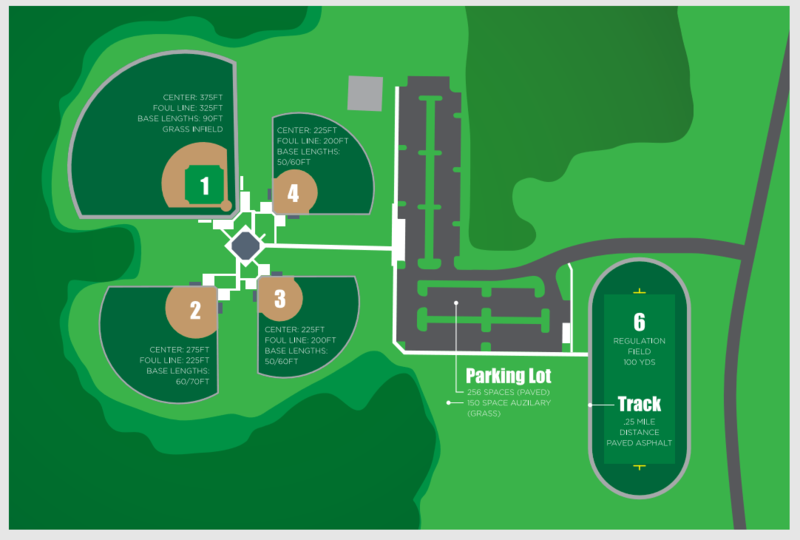 The Luter Sports Complex is a brand new venue boasting top-of-the-line fields for youth sports including baseball, softball, football and soccer. The space is designed to host both regular season games and tournaments. There are 4 fields for baseball and softball varying in field of play from 200 feet to 375 feet. There is also a regulation size football and soccer field designed to accommodate Pop Warner Football, soccer games and tournaments. The .25 mile track around the football field can be used for races and special events.